Were you one of those people who always took the extra credit opportunities in school? I think it says something about a person, whether or not they are comfortable broadcasting their own nerdiness to the entire class. As a middle school teacher, I am reminded of how it takes a very special teenager to actually do this. But there they are, the geeked-out minority, not afraid to rush up to the board to conjugate a verb. And, bless them, they will most likely grow up to write a blog entry about how finding extra information for the sake of learning is oh-so-thrilling. On that note, this summer, many questions have come up. So many, in fact, that they have been written down into a little notebook. So, I have set out on this second to last weekday of freedom to uncover the mysteries and give myself gold stars for extra credit. 1. What exactly is a glacier? And I can’t remember how to say it in Spanish. 2. What causes a volcano? 3. What is up with the supervolcano in Yellowstone? 4. Why are barns red? 5. How did those dumb car stickers with Calvin peeing start? 6. How does Google know about traffic? 7. Who was the original artist that made those catchy newspaper cut-out magnets with 50’s housewives on them? 8. 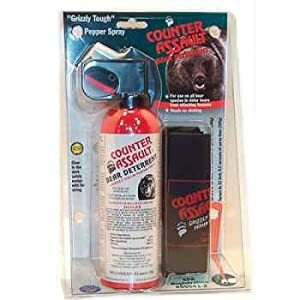 Why is there only one type of bear spray on sale in Montana? And why is it so expensive? 9. Why do all movies use 555 numbers? 1. According to Wikipedia, a glacier is a perennial mass of ice which moves over land. Se dice glaciar en español. Duh. This is the Perito Moreno glaciar en Argentina. 2. Well, here it is, thanks Wikipedia: There are four causes that I could determine: Volcanoes are generally found where tectonic plates diverging (moving away from each other) or converging (colliding). A mid-oceanic ridge, for example the Mid-Atlantic Ridge, has examples of volcanoes caused by divergent tectonic plates Pacific Ring of Fire has examples of volcanoes caused by convergent tectonic plates coming together. By contrast, volcanoes are usually not created where two tectonic plates slide past one another. Volcanoes can also form where there is stretching and thinning of the Earth's crust (called "non-hotspot intraplate volcanism"), such as in the East African Rift, the Wells Gray-Clearwater volcanic field and the Rio Grande Rift in North America. Volcanoes can be caused by mantle plumes. These so-called hotspots, for example at Hawaii, can occur far from plate boundaries. Hotspot volcanoes are also found elsewhere in the solar system, especially on rocky planets and moons. 3. The Yellowstone Caldera, or the Yellowstone Supervolcano, like Hawaii, is believed to lie on top of an area called a hotspot, where light, hot, molten mantle rock rises towards the surface. The area experiences between 1,000 and 2,000 measurable earthquakes a year, but the last full scale volcanic eruption occurred 640,000 years ago. Residents of Victor Idaho and the surrounding area can rest assured, because the U.S. Geological Survey, University of Utah and National Park Service scientists with the Yellowstone Volcano Observatory maintain that they "see no evidence that another such cataclysmic eruption will occur at Yellowstone in the foreseeable future. Recurrence intervals of these events are neither regular nor predictable. "[Wikipedia] Phew! 4. According to the Farmer’s Almanac: Many years ago, choices for paints, sealers and other building materials did not exist. Farmers had to be resourceful in finding or making a paint that would protect and seal the wood on their barns. Hundreds of years ago, many farmers would seal their barns with linseed oil, which is an orange-colored oil derived from the seeds of the flax plant. To this oil, they would add a variety of things, most often milk and lime, but also ferrous oxide, or rust. Rust was plentiful on farms and because it killed fungi and mosses that might grow on barns, was very effective as a sealant. It turned the mixture red in color. When paint became more available, many people chose red paint for their barns in honor of tradition. Interesting. 5. Origin of Calvin peeing stickers. As far as I could find out, the stickers are not sanctioned by the creator of Calvin & Hobbes, and the only “real” information I could get on who was the first to do this was from sites like Uncyclopedia and the Onion. But, I did find this out on Wikipedia: Almost no legitimate Calvin and Hobbes merchandise exists outside of the book collections. However, the strip's immense popularity has led to the appearance of various counterfeit items such as window decals and T-shirts that often feature crude humor, binge drinking and other themes that are not found in Watterson's work. After threat of a lawsuit alleging infringement of copyright and trademark, some sticker makers replaced Calvin with a different boy, while other makers made no changes. Watterson wryly commented, "I clearly miscalculated how popular it would be to show Calvin urinating on a Ford logo." 9. The question about the 555 numbers came up under the argument, “When you see a 555 on the movie screen, doesn’t this just remind the audience that what they’re watching is fake?” Well, once again, I consulted the Wikipedia machine, and found this interestingness out: Phone companies encouraged movie companies to use the 555 prefix starting in the 1960’s. Nowadays, only 555-0100 through 555-0199 are reserved for fictional usage, and only within the US. Check the website for a funny story about Gary Larson being sued in Australia for having used a 555 prefix to call Satan (http://en.wikipedia.org/wiki/555_%28telephone_number%29). Ha ha! Do I get my extra credit points?